The Scent of a Memory challenge has been intriguing for us all. Depending on which part of the world we live in- Northern or Southern hemisphere and in which country we grew up in or live in now, we are all impregnated with strong visual and visceral memories evoked by various scents. I don't know why, but childhood scents came immediately to mind; the strong sweet smell of newly mown grass and the colour green, the smell of the chickens and the jasmine that climbed over the dog's house. Later scents include the smell of the coming rain on the dusty inland of Australia and on our Indonesian travels, clove cigarettes and their distinctive aroma along with durian fruit in the market. But it was not until I visited a friend's beautiful garden that I settled on what I was going to focus on. Reveal begins October 26, so please check back then. Certainly peaks my curiosity! Can hardly wait. This is REALLY inspiring! Have not printed in a while (other than fish:). 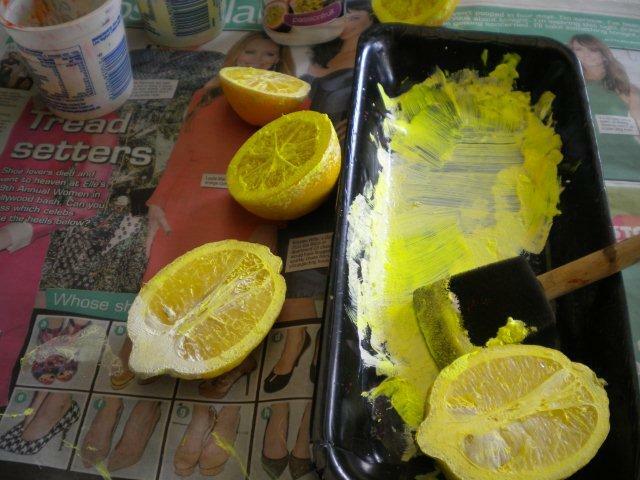 Thinking of lemon memories now.